What is an emergency alert weather radio? Emergency alert weather radios provide advance warning about dangerous storms approaching your local area. The alerts are transmitted by NOAA (National Oceanic and Atmospheric Administration part of the Department of Commerce) and can be a life-saving tool in the event of pending hurricanes, tornadoes, heavy rainstorms, snow and ice, or other possible disasters. How many transmitters does NOAA use? NOAA emergency weather alerts are sent out from more than 900 stations across the country. Each state has a varying number of transmitters and each transmitter has an effective range of approximately 40 to 50 miles. For example, Louisiana has 11 transmitters located around the state, Kansas has 19, Florida has 30 and Texas has 61. For a complete list of states and station locations, go to www.nws.noaa.gov and find the All Hazards section. What frequencies do weather radios operate on? NOAA maintains seven frequencies outside of the normal AM/FM radio bands to broadcast alerts on emergency weather radios. The frequencies are: 162.400, 162.425, 162.450, 162.475, 162.500, 162.525 and 162.500. How to weather radios differ from regular radios? Emergency alert weather radios do not broadcast constantly. Instead, weather alert radios operate in standby mode until an emergency weather alert is transmitted from NOAA. The weather radio then "wakes up" to sound an alert tone and broadcast the emergency message. Many emergency alert weather radios now utilize S.A.M.E. digital technology that allows you to localize emergency broadcasts. Weather radios featuring S.A.M.E. (Specific Area Message Encoding) receive the same warnings and broadcasts as regular NOAA radios but also allow you to program it with a six-digit code to adjust reception to monitor only specific counties rather than an entire regional broadcast area. Where do I find my S.A.M.E. code? The code for programming your emergency alert weather radio to monitor local counties can be found at www.nws.noaa.gov/nwr then look for "SAME Coding" on the menu at the left. Should you own an emergency alert weather radio? Receiving advance warning about approaching dangerous weather situations is many times the key to surviving severe storms. NOAA broadcasts warnings and alerts for all types of hazards that are valuable information for homeowners, at the office, and for campers, hikers, boaters, people traveling and just about anyone who could be affected by severe weather. For information on buying a weather radio go to http://www.nws.noaa.gov/nwr/nwrrcvr.htm. Do weather radios usually include any other features? Emergency alert weather radios comes in many different sizes and varieties. The NOAA weather radios are available in portable or desktop configurations; with or without AM/FM radios; with or without S.A.M.E. technology; and in many different colors. What accessories are available for weather alert radios? 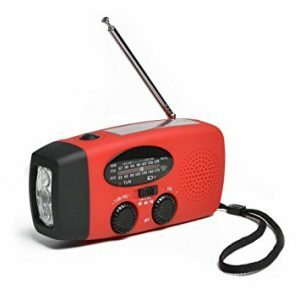 Various accessories are available for selected models of emergency alert weather radios. Some of the weather radios can utilize AC/DC adapters, cigarette lighter power adapters, external antennas, flashing alert lights or a strobe light, especially valuable for the hearing-impaired. Does NOAA broadcast more than just weather alerts? NOAA sends out broadcasts on the emergency weather radio network advising the public of a variety of potential hazards. These alerts include items such as chemical or oil spills, nuclear power plant emergencies, forest fires, national emergencies and even Amber alerts.